When Charles Darwin wrote “On the Origin of Species” in 1859, he employed an ingenious trick to persuade people of evolution. He linked evolution to natural selection, implying that natural selection was the mechanism of evolution. This was a clever trap because when something false (evolution) is linked with something true (natural selection), people are often fooled. They become convinced of the lie by seeing the merit of the truth. Darwin’s trap is particularly insidious because, in reality, natural selection is the opposite of evolution. Natural selection is the true principle that organisms unfit for their environment die, leaving only organisms that are well-suited to their setting. When organisms die before reproducing, their genetic information is not passed on, and is eventually removed from the population. So, natural selection inevitably involves a reduction in genetic information. Yet evolution requires brand new genetic information to be added to organisms in order to turn one kind into another – the opposite of what natural selection does. Natural selection doesn’t create any new traits, nor does it add the new genetic information that would be essential for Darwinian evolution. It only refers to the removal of organisms that are not already adapted to their environment. 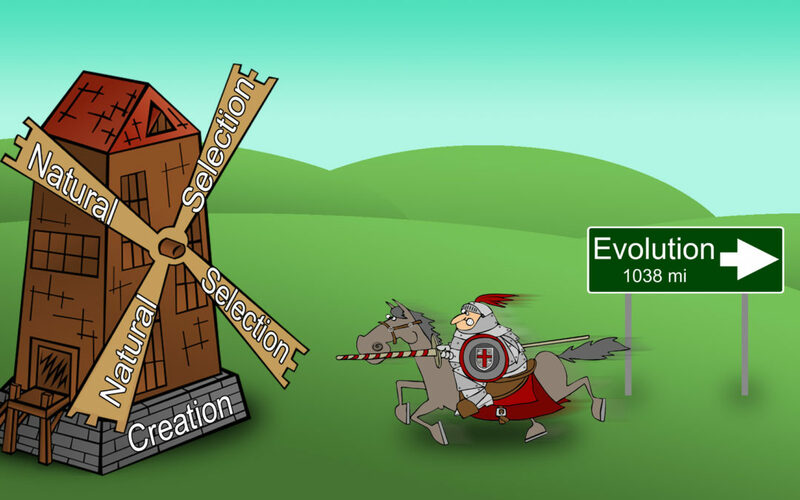 Many people have the impression that Darwin came up with the idea of natural selection. But he didn’t. The creationist Edward Blyth wrote about the principles of natural selection decades before Darwin. Blyth rightly saw natural selection as one of the mechanisms God uses to adjust a population of organisms to the environment. How many people have been fooled by Darwin’s trap? How many see the obvious truth of natural selection and become persuaded of evolution simply because Darwin asserted that one is the cause of the other? But there is another very strange way in which a person may be fooled by Darwin’s trap. Someone may realize that evolution is false and unbiblical, and thereby falsely conclude that natural selection is false – simply because Darwin proposed the latter as the mechanism of the former. Unfortunately, one creationist speaker has fallen for this trap, and has been publicly promoting the erroneous claim that natural selection isn’t real. This is very unfortunate, because we can easily observe that organisms unfit to their environment do in fact die; natural selection is observable. If a creationist claims that something isn’t real when in fact it is easily observable, this gives evolutionists a legitimate reason to claim that creationists deny reality.